California's building market is booming, but those looking to capitalize on it in Arroyo Grande may find themselves growing impatient with the city's building development processes. Faced with recent staff cuts, employee vacancies, and budget reductions, the city is attempting to address concerns from the community that its planning and development processes take too long, frustrating applicants seeking to improve their current properties or build new projects. 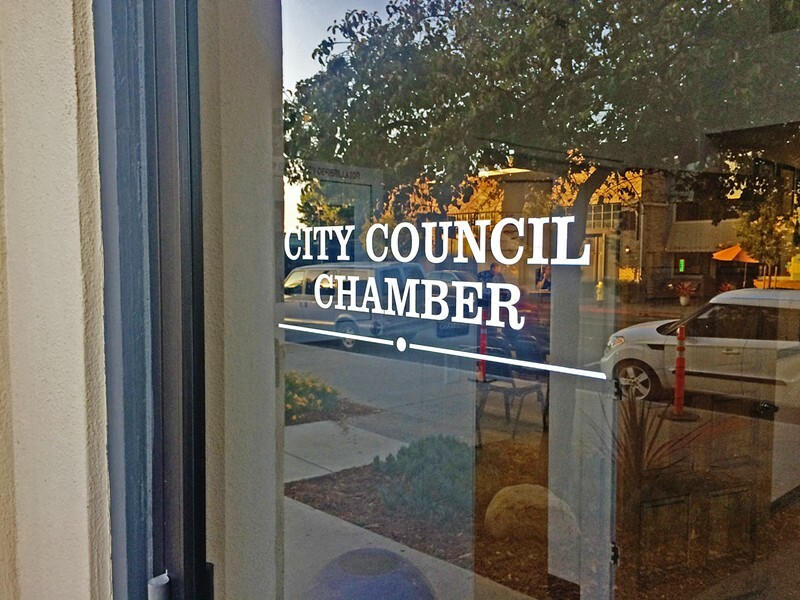 DELAYS The Arroyo Grande City Council is asking staff to look for ways to address concerns about lengthy wait times for building and construction plan reviews. "We take these concerns very seriously," City Manager Jim Bergman told members of the City Council during an Aug. 14 discussion on the topic. "We do know how important every project is to every applicant." The planning, building, and engineering divisions—all three of which fall under the city's Community Development Department—review building and construction applications for compliance. Speaking to the council, Community Development Director Teresa McClish acknowledged that applicants were experiencing longer wait times. According to McClish, the average time for the department to check and review a plan took an average of about six weeks. In the past, that time was as low as three weeks, McClish said. According to McClish, the city had more than 50 building permits currently in the plan review process as of Aug. 14. Less than 50 other permit plans were sent back to applicants for corrections, and about 20 plans had been approved and were awaiting pickup. More than 200 permits were currently in the construction and inspection phase, McClish added. "We have very busy times in Arroyo Grande in terms of building," she said. McClish said there are several factors contributing to the longer wait times. One of those is the state's housing and building market, which she characterized as "red hot." Arroyo Grande's current median home price is about $688,400, according to real estate website Zillow, a 7.2 percent increase from the previous year. "We have a lot of folks updating their homes or building new ones," McClish said. While the booming market may have caused a spike in building applications, the influx comes at a time when the department is trying to cope with the impact of staff reductions and job vacancies. In order to close a $900,000 budget gap, the city eliminated an associate planner position and a planning technician position in the department, replacing them with a full-time assistant planner position. The city also removed the department's administrative secretary position and reclassified an existing senior office assistant position to a full-time permit technician position. The department is also currently trying to fill at least two vacancies and was in the process of interviewing candidates for an assistant planner and engineer positions. "We know what the problems are... but we have to learn to live within our resources just like any family would, and we are trying to do that," Councilmember Tim Brown said. "This is a difficult situation, and there is no easy answer when you are working with a reduced staff." Applications submitted with incomplete or inaccurate information were also contributing the delays. When an application needs a correction, it must be modified and fixed, further increasing the processing time. "Folks with all good intentions may miss something," McClish said. "The domino effect, if you will, is that we get more repeated plan checks. Even if it's a small correction, if it is first-come-first-serve, which it generally is, it goes to the bottom [of the queue]." Arroyo Grande resident Coleen Kubel, who has appeared at multiple council meetings to voice her concerns about the building permitting process, expressed frustration at the way the city handled minor corrections on applications. "There are minor changes that are just typos that kick the plan back out for corrections," said Kubel, who is currently running for a seat on the City Council. "It could be taken care of right there at the desk [but] some of those things hold it up." McClish said that the department is trying to address the issue by attempting to catch such errors before the department formally accepts them, and not taking those applications until they've been modified or corrected. That change is just one of the measures the department is taking to pare down wait times. McClish said her department is also contracting out some plan checks to outside vendors, and mulling creating an expedited process for applicants. As part of its efforts to close the budget gap, the council voted earlier this year to close City Hall to the public on Fridays. McClish said the staff has been using that time to work on processing applications. "The Friday closures are helping in that regard," she said. Kubel said she was happy to see the city finally addressing the issue. She said that making the process more user-friendly and finding a better way to keep applicants informed of where they stand in the process could help. "It would 100 percent improve communications with the applicants," she said. As the city works to fix the problem, Mayor Jim Hill indicated that the increased wait times were not only a concern to residents looking to build or improve their homes. He said he'd heard from business owners looking to relocate in the city who shared similar worries.